The Gymnastics Ontario Club Builder Award has been created to recognize extraordinary volunteerism at the club level and is intended to acknowledge those individuals whose service may not extend to the federation level, and would therefore, not qualify for other Gymnastics Ontario awards. Gymnastics Ontario values the work of individuals in building clubs. 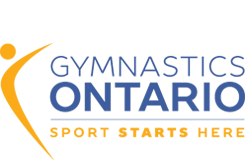 The Gymnastics Ontario Club Builder Award is intended for a highly involved volunteer; one who has repeatedly gone above and beyond exceptional, either in length of time, extraordinary effort, etc. A maximum of one award per club, per year will be presented. The Gymnastics Ontario Club Builder Award was presented for the first time at the 2012 Gymnastics Ontario Awards Banquet, and subsequently thereafter. The recipient of the award will receive a plaque outlining their extraordinary service. To apply for this award, a club may name one individual and submit it to Gymnastics Ontario, Awards Committee. The submission should include a brief paragraph explaining the reason for the award. This paragraph will be used on the recipient’s award plaque. A photo of the individual should also accompany the submission, along with the name of the club representative who would be willing to present the award at the banquet. NOTE: The Gymnastics Ontario Club Builder Award is not to be confused with the already existing Club Volunteer of the Year Award. The Club Volunteer of the Year Award, available to all clubs, is for a volunteer that the club wishes to recognize for their efforts that year.